Christmas lights are one things my girls just love to go out and see. Bringing part of that into activities has been tons of fun. 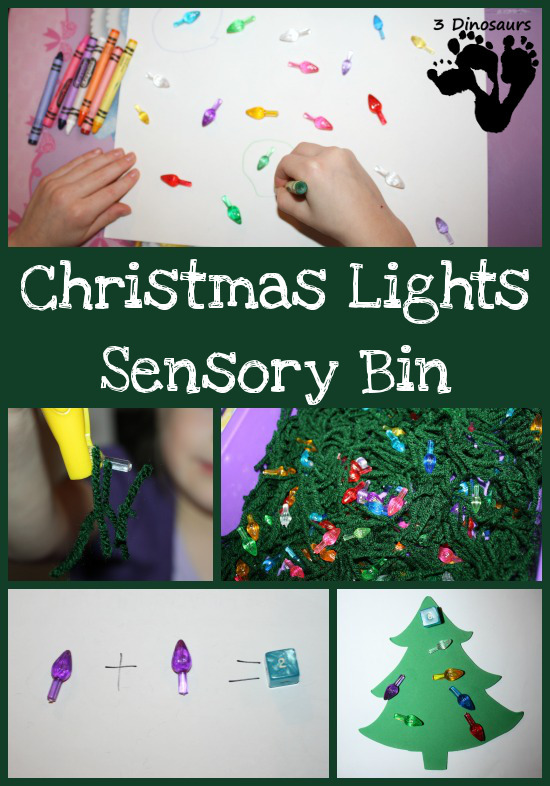 This sensory bin is an extension of the Christmas Lights Sorting activity. It is fun to explore objects many different ways. 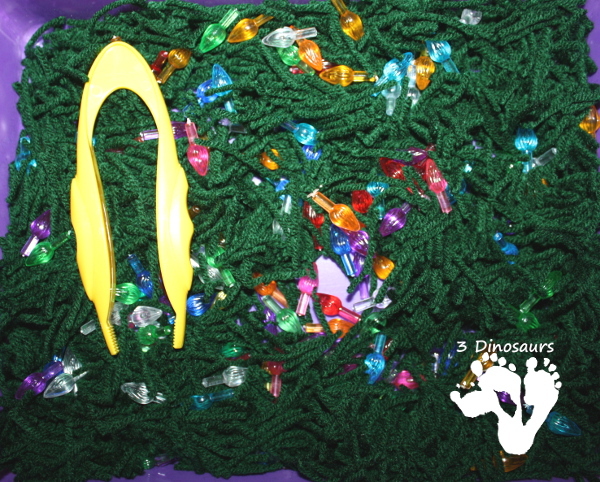 This sensory bin has the fun Christmas three in a bin feel. The activities are some that I set out for her to do and some that she wanted to create and make on her own. That is what makes sensory bins fun. 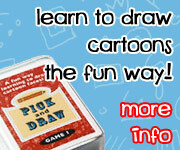 They are meant to be explored in fun ways. It should also give you some sensory input. This bin has soft yarn and hard ceramic Christmas tree bulb . This gives two textures to play with. 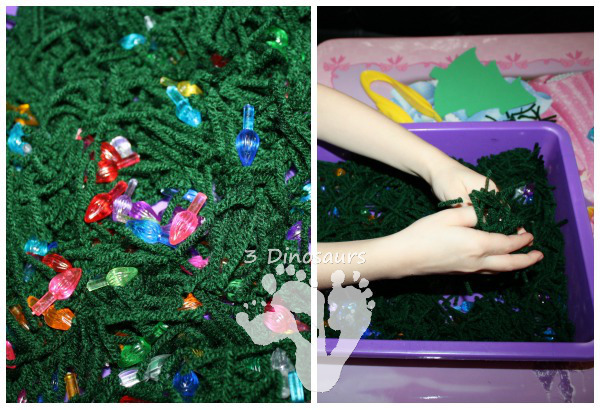 What you need for this sensory bin: bin, ceramic Christmas tree bulb , green yarn , tweezers and crayons . One of the first activities she did was working going through the bin and finding all the lights. She liked that there were two sizes of the light bulbs. She would also talk about the colors of the bulbs as she went through the bins. The next activity she worked on was picking up yarn and the light bulbs with the tweezers . This was a great fine motor activity. It was a challenge to pick up the bulbs and the yarn was easy. She picked up several of the bulbs and set them outside of the bin. With the bulbs that she took out of the bin we arrange them on a paper. She then used crayons that matched the color on the bulbs and drew circles around each of the bulbs. We talked about how many of each color she had. After she finish putting the circles around she took off the bulbs and did her own color matching game by putting the lights back into the circles she drew. We also worked on some number counting and basic addition. I pulled out a foam Christmas tree from our craft bin and she would roll a die and put the die at the top and put that many lights n the tree. Another activity we did was an addition based one. She would roll the die and we would make an addition equation with the lights. I would also give her an equation with lights and have her put the die on the correct number of lights. 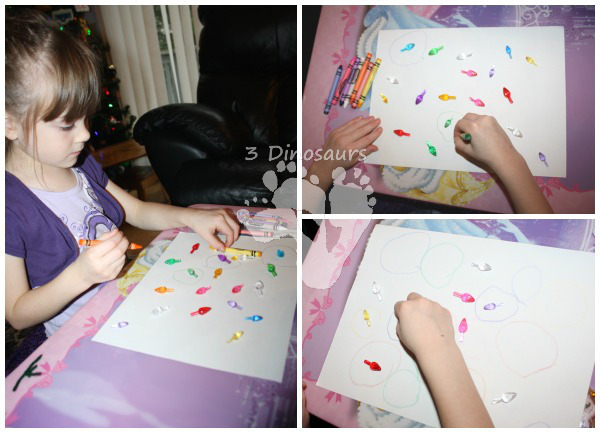 These were such fun hands on activities and sensory fun! 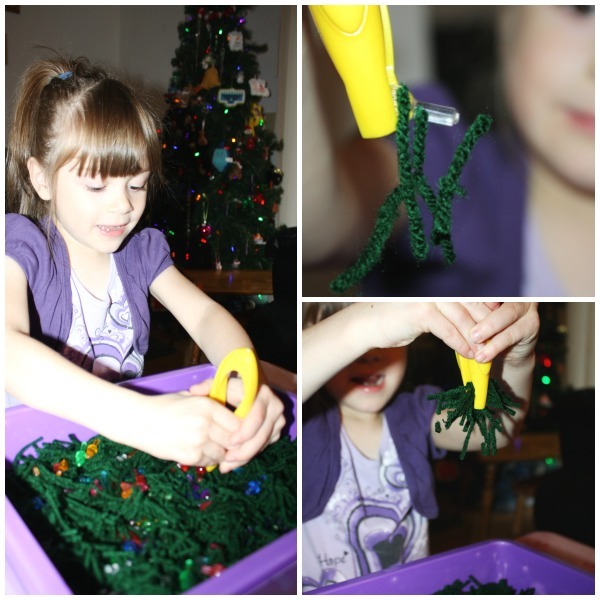 This entry was posted in holiday, sensory bin and tagged christmas, colors, lights, sensory bin. Bookmark the permalink. 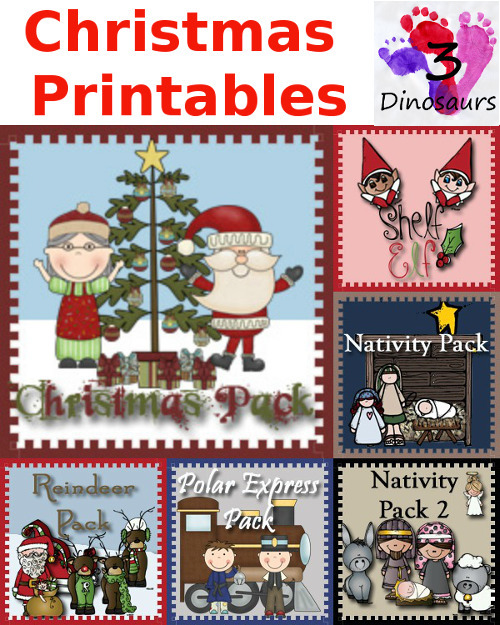 These are great learning ideas! 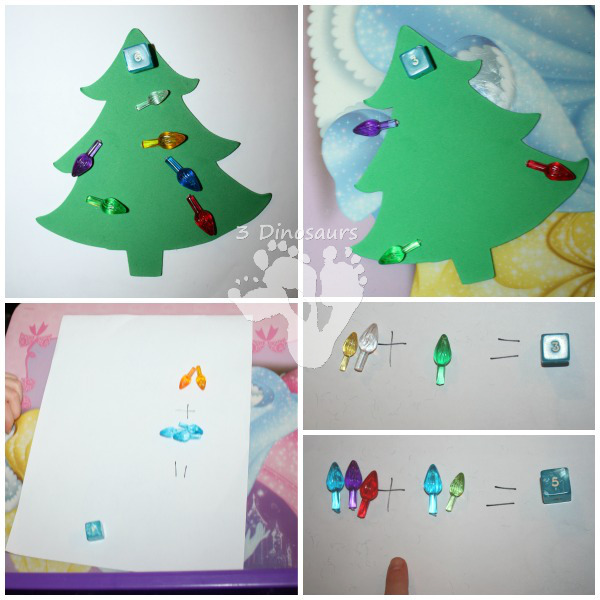 I love the math tree! Thanks for sharing! Those ornaments in the bin are so neat! I love the look of the sensory bin as well, with the green yarn like a tree and fun colorful bulbs mixed in 🙂 So many ways to play and learn here!